In May 2015 I was able to observe a weird leaf warbler, which I wasn´t able to identify due to its unusual song. 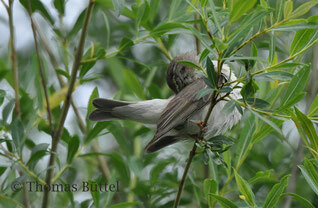 After several discussions with experts it is believed to be a mixed singer of Willow Warbler and Siberian Chiffchaff. Here you´ll find the most important facts about this bird.